Scotland is country that’s not particularly well-known for its food. A tourist looking for a getaway is surely lured to this freedom-loving land for its roaring crags, shimmering lochs and ancient cities, and not by tastebuds tantalised by the aromas of haggis and black pudding. But beyond these offally-divisive foods, Scotland does have some interesting culinary offerings, for better or worse. Recently, I went to Scotland for a holiday. It’s a country that I’m relatively familiar with, having explored the almost-independent state on four separate occasions. I thought I’d tried most of the unique foods that the country had to offer. There’s nothing really that gross about haggis, black pudding is luxurious and I’d tried almost everything deep-fried at least once. But on this recent trip, surprisingly, I found a few Scottish treats that delighted, surprised and horrified. Here are my top 3. 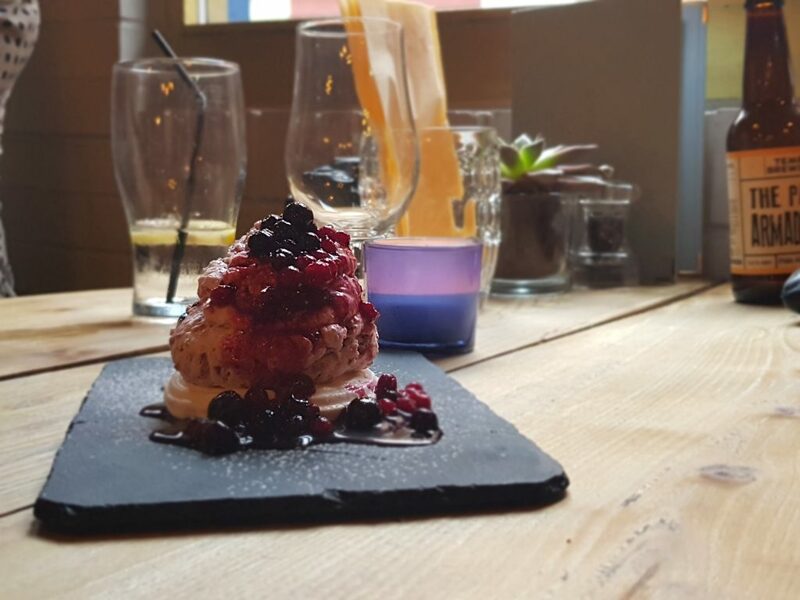 Scotland’s answer to a parfait, cranachan (pronounced cra-nack-can) is simple dessert made by mixing together cream, honey, oatmeal, berries and whiskey. It’s often served in a dessert glass, with the oatmeal and berries layered separately to the sweet, whiskey cream. Its delightfully light to eat, and while sweet, the oats impart a surprising, but welcome, savouriness. The image of cranachan shown above is a more modern take, with the cream mixture sat on top a meringue disc. Other times, it may be serve deconstructed at a dinner party, with each guest mixing their own desired amounts of each ingredient. Cranachan may be simple, but its comforting. Ten out of ten would eat again. 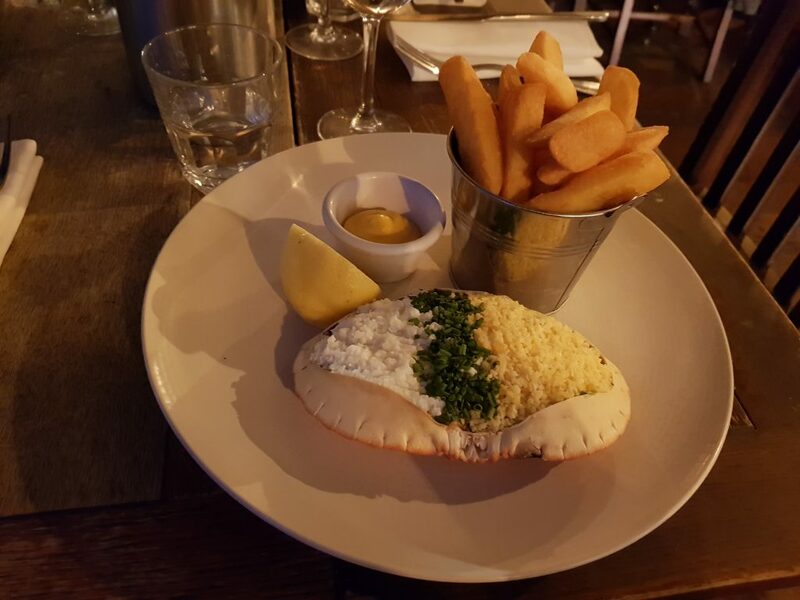 Quite simply, dressed crab is crab meat served in a crab shell. The crab meat is removed, mixed with mayonnaise or other dressings, and placed back into the empty crab shell. The dish is perfectly edible, although the finely shredded nature of the crab meat means that most of the delicate texture of crab is lost. This dish was featured in menus across the UK, but surprisingly, is scarcely seen in Australian restaurants. Crab in Australia is more often seen in spicey Singaporean stews or luxurious seafood platters. And to me, an undressed crab is far preferable to a dressed one. The joy of eating crab surely comes from the stress-relieving, shell crushing, which, while masochistically tedious, satisfyingly yields delicate crab meat that you worked hard for. Deep fried potatoes are one of my all-time favourite foods and cheese is basically cook’s crack. Yet together, in a fashion favoured by the Scots, is a bewildering snack that defies logic. Chips and cheese is exactly what it sounds like, chips topped with grated cheese. 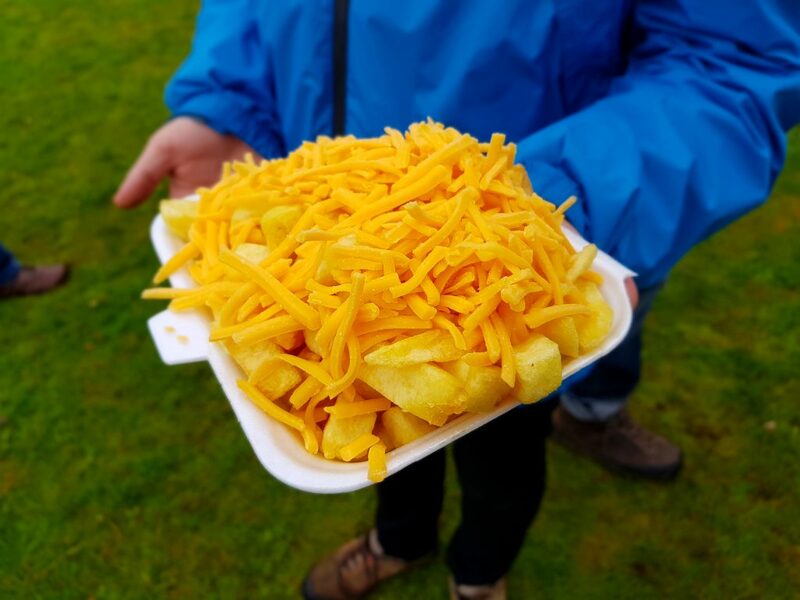 But unlike its Canadian cousin poutine, Scottish chips and cheese uses the driest, and most processed yellow ‘cheese’, served in grated chunks, rather than melted. It’s a combination that’s incredibly difficult to eat, with most of the cheese simply falling off the chips. I was told by one local that chips and cheese is often served in a styrofoam box and that you’re suppose to close the lid to ensure that the cheese melts from the residual heat of the chips. However, during my travels, I did not witness this once. Restaurant Orana: Why Aren’t We All Eating Like This?